22 Michaels: How do you turn down meetings? I love meeting new people, it's one of my favourite things. I find it fascinating listening to what people are doing and the journey they've taken. There is often so much I can take from those conversations and apply it to my own life. For the first time in my life I'm having to turn people down meeting new people and it's hard. We're at a fairly critical point for Shoes of Prey. We've hired a lot of new people and moved into a new office so our fixed costs have gone up. We've still been restrained with that growth but it's as important as ever that we continue to grow our sales aggressively while helping the new team members settle in. While our business grows and our network expands, there are more new people to meet. That's fantastic and up until recently I made a point of meeting up with anyone I could in the entrepreneurial and online retail space when the opportunity presented itself. As much as I'd like to, unfortunately I just don't have time to do this anymore. I'm working 80 hour weeks so it's not possible to add anything more, and in my list of priorities, Shoes of Prey has to come first. Some non-essential meetings are easier to turn down, like where a company is trying to pitch for business. Some are much harder, like where someone is starting a new online retail business and they're in the position we were only 18 months ago. Or where someone is keen to learn from us and they also have skill sets they can share with us. I have a particular dislike of arrogance and I never want to be or even have the appearance of being arrogant - and turning down a meeting with someone certainly feels a little bit like I'm doing that. Most people who are in the situation where I seem to have found myself simply stop responding to emails. I often contact people who I know are very busy and don't get a response and I can understand why. And perhaps there's a time where that will come for me too. For now I've come to the conclusion that the best thing to do is to be open and upfront about the fact that as much as I'd like to, I don't have time to meet with everyone, I need to focus on our business. It's a difficult change to make, particularly when it's people who are doing exactly what we were doing only a year or two ago. How do you deal with the situation where you have to turn down meetings? I just wrote a really intelligent response (first time!) and then my comp crashed! 1: Don't give yourselves a hard time. You invest significantly more than most in sharing your knowledge through articles and blogs. Most of the answers people want are in here for all to see. 2: If you are really in demand, then pause, have a drink and think about entering the speaking circuit. Seriously. MBA 101 on supply and demand. If your stories are worth $'s, then commercialise. 3: Meetings that are 1-on-1 take time. What about 1 to many. One late night shopping night at your premises where anyone is welcome to tour, share ideas, ask questions, network...etc. Takes pressure off you, great PR and do it in your time. 4: Continue to be honest. I've been trying to connect with someone around a mutual interest and got no response. Its just not professional. 5: Does this post explain why I've not seen you in age? Beer and Roast soon? Thanks Dom, much appreciated. Great idea to do an 'online retail meetup'. Not sure if we're in that much demand yet but we'll keep that one in mind. Beer and roast soon sounds awesome, I'll shoot you an email. It doesn't have to be that sour. 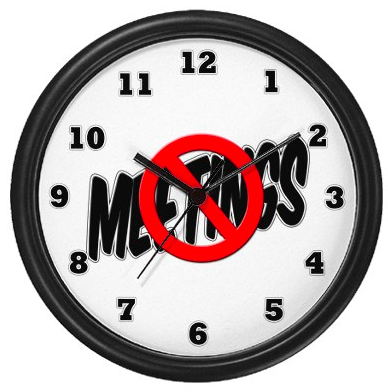 If I don't have time I usually say let's postpone it to nearest available date of if the meeting in fact seems of less priority, just say that I no longer do those things and outright reject the meeting. No point wasting own or their time. A high profile journalists/activist I know holds cocktail evenings at her home once every couple of months for this purpose. She uses this opportunity not only to meet with people who have contacted her, but also to allow these people to network with one another in an informal setting. This could be an option for you.